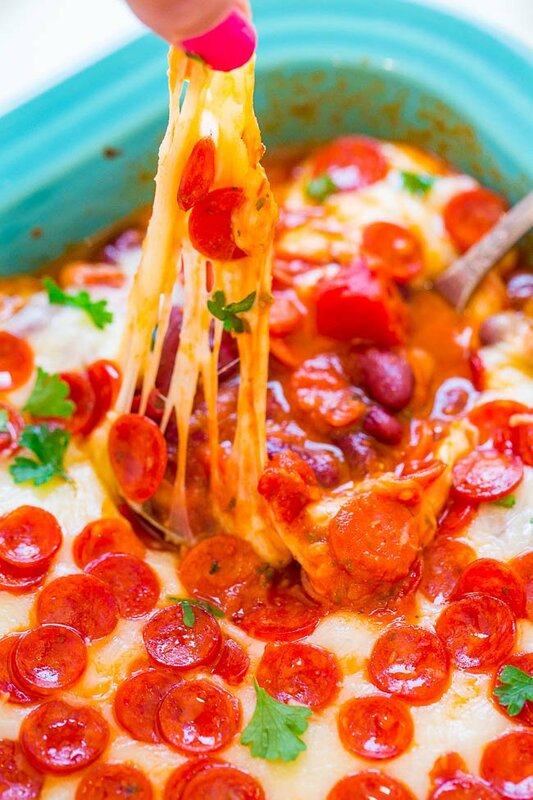 Pepperoni Pizza Baked Beans – PIZZA-inspired flavors in this EASY recipe that works great as an appetizer, side dish, or FAST weeknight dinner!! 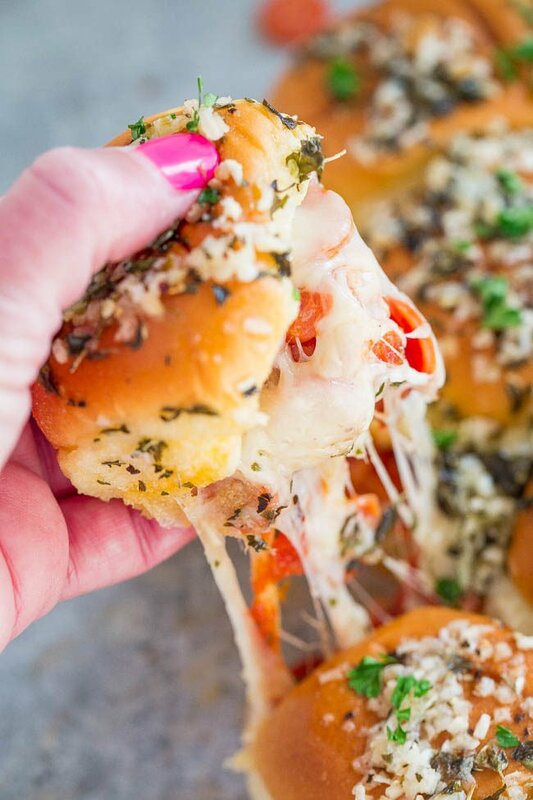 Tomatoes, oregano, pepperoni, and oodles of melted CHEESE!! I eat beans quite often but try to refrain from pizza. The carbs, salt, and grease tastes amazing but isn’t great for my pants size. 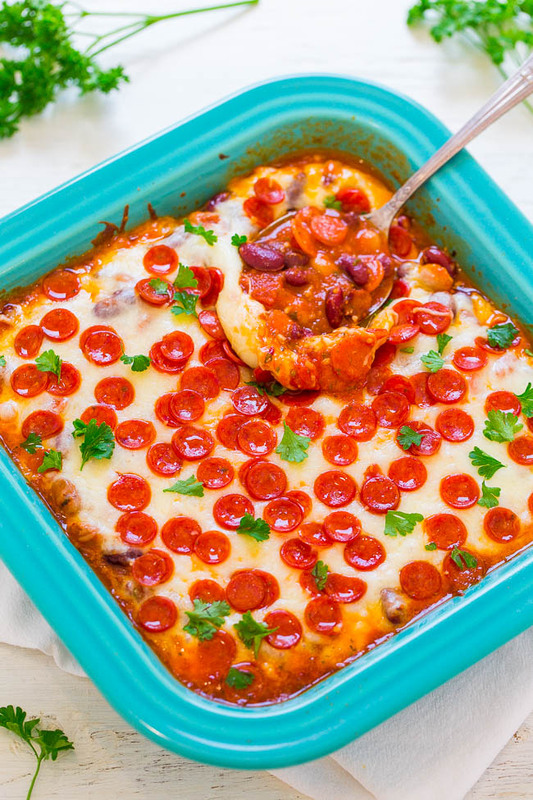 Enter these baked beans with pizza-inspired flavors including juicy tomatoes, pizza sauce, oregano, mini pepperoni, and oodles of gooey melted mozzarella cheese. 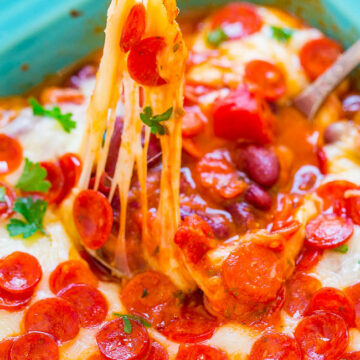 The tender beans bubble away in saucy, tomatoey goodness and that cheese is what gets me. 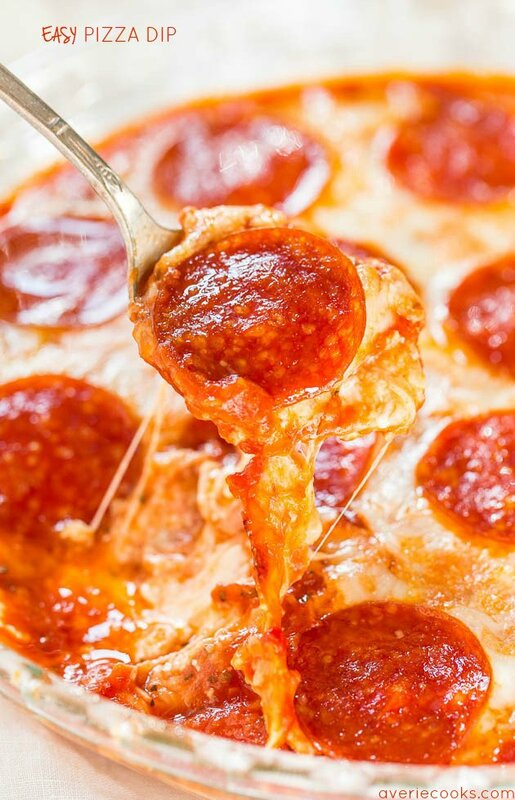 Cheese actually gets me every time but somehow seems more okay in this application than it would on pizza. The pizza baked beans are a super simple appetizer, a great easy entertaining side dish, or as a weeknight dinner for those hectic nights when you have to get something on the table in less than 30 minutes. 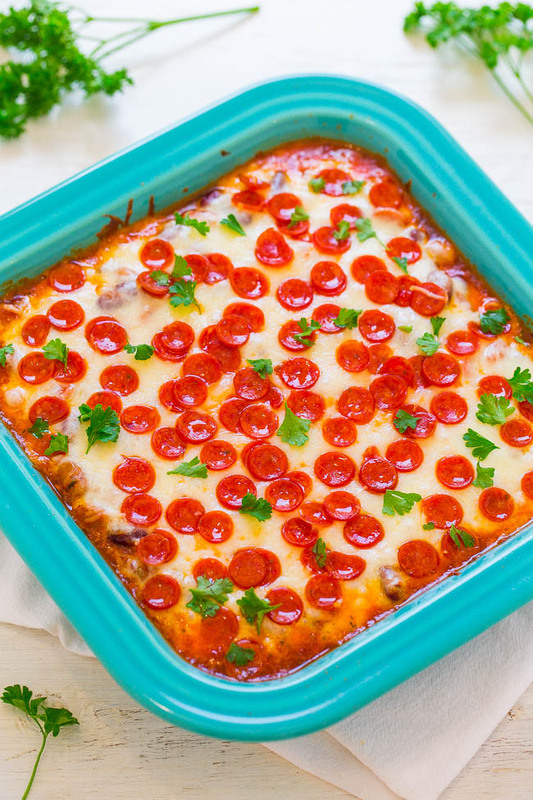 The dish reminds me of the comfort food nature of lasagna, minus the noodles. Serve it with a salad and you’re set. Or with garlic bread if you don’t care about the carbs or gluten. 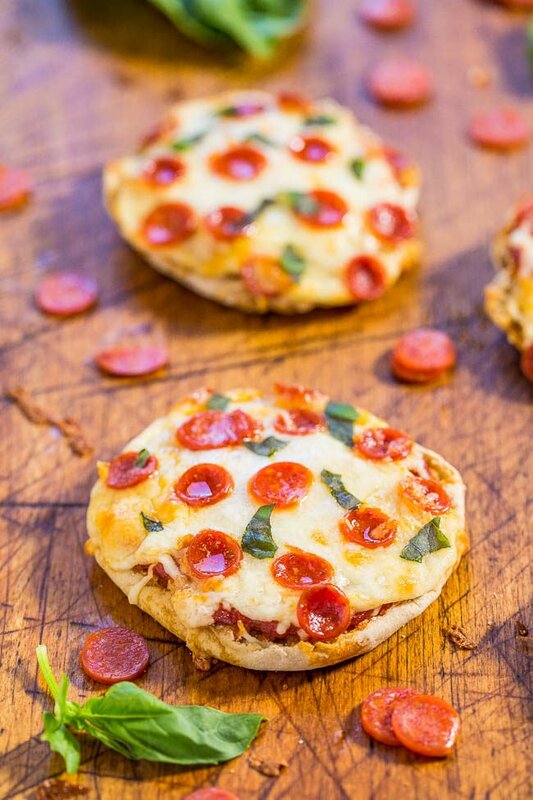 As written the recipe is gluten-free and you can easily make it vegetarian by omitting the pepperoni. I have a feeling it could be a great slow cooker recipe although I haven’t tried it. I would let everything simmer together before adding the cheese, which I would add with just enough time before serving so that it melts. It’s also great for holiday entertaining, game day parties, Superbowl, or anytime you need a gooey cheese fix. Preheat oven to 400F. Spray a 3-quart casserole dish with cooking spray; set aside. To a large bowl add the beans, tomatoes, pizza sauce, oregano, just over half the package of pepperoni, pepper, and stir to combine. Turn mixture out into prepared casserole dish. 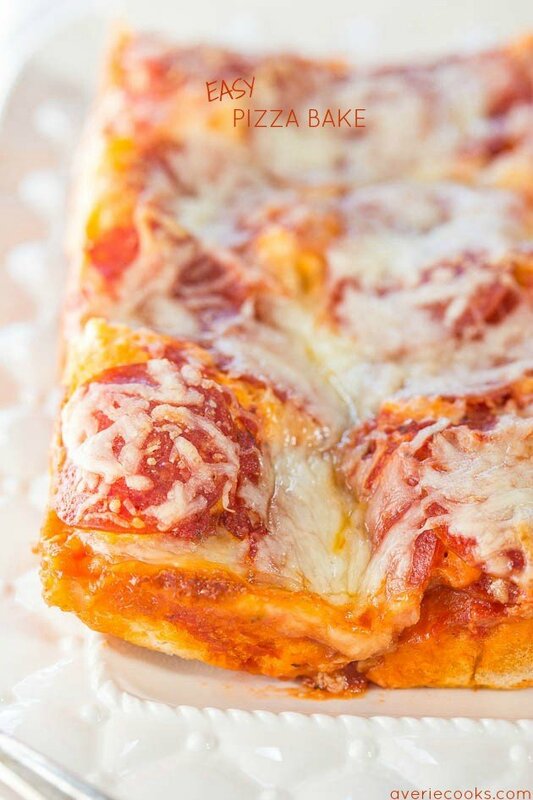 Evenly top with the cheese, remaining pepperoni, and bake for about 20 to 25 minutes, or until cheese has melted and is as golden browned as desired. If you want a more pronounced browned cheese effect, pop it under the broiler for a couple minutes (keep a close eye on it). Evenly garnish with parsley and serve immediately. Recipe is best fresh but will keep airtight in the fridge for up to 5 days, reheat gently as desired. 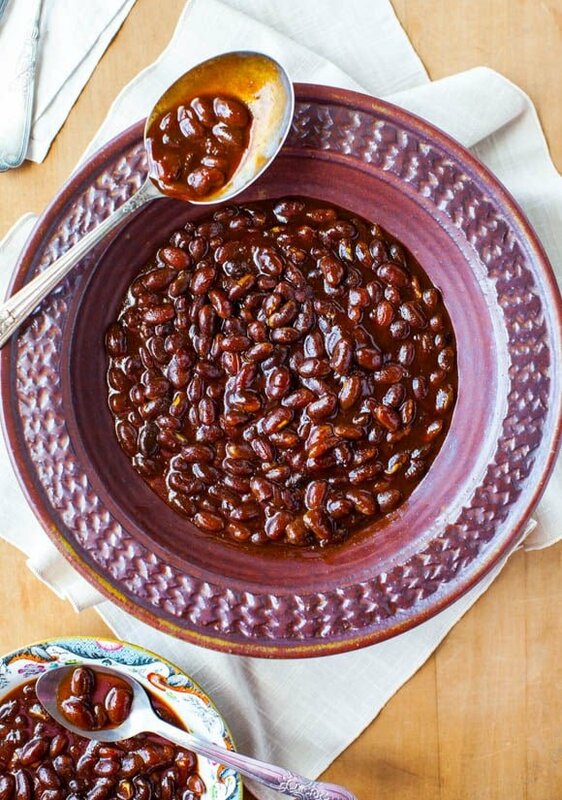 Bourbon Maple Slow Cooker Baked Beans (vegan, GF) – The best scratch baked beans and the easiest! Set it and forget it! This was the BEST way to have your pizza and eat it too :) We loved these. 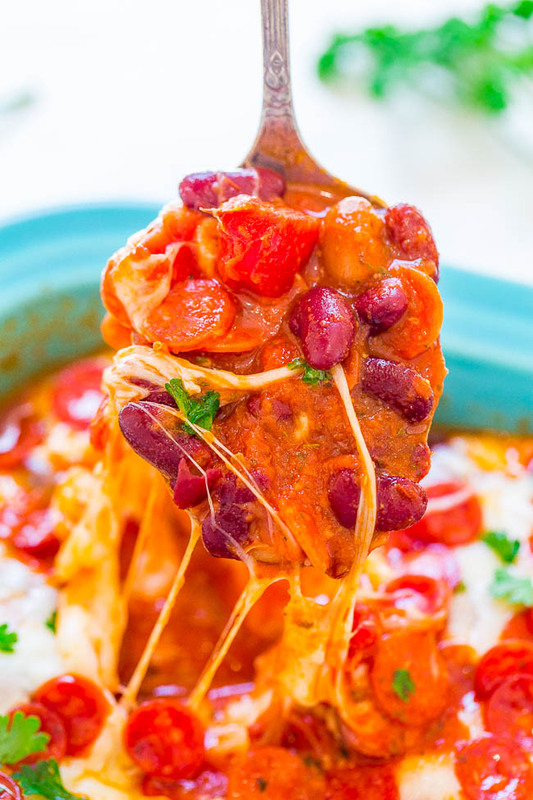 I made this recipe quite awhile ago and in the midst of others, this one got pushed back and when I was editing the photos I thought, oh wow, that was SO good! And easy!